Posting Title IT Business Systems Analyst Sr (Test Automation Developer) Job Requisition Number AE501765 Position Number 107902 Job Type Full-Time Division Name Information Technology Minimum Qualifications Graduation with a Bachelor’s degree from an accredited college or university with major course work in a field related to the job plus two (2) years of experience. When completing the City of Austin employment application: A detailed, complete employment application is required to evaluate your qualiﬁcations. If you are selected for the position, your starting salary will be based on your overall relevant experience that you included/submitted in your online employment application, not a resume or cover letter. The City of Austin employment application is an oﬃcial document. Describe your speciﬁc experience for each position. Complete all ﬁelds of the Employment Record, including job titles, duties and responsibilities, employment dates, and relevant professional certiﬁcations. Your resume will not substitute for your online employment application; statements such as “see resume” are not accepted. Use “N/A” for ﬁelds not applicable to your experience. Responses to Supplemental Questions inquiring about experience should be reﬂected on your application. Supplemental information or changes to your application will not be accepted once the job posting closes. An assessment may be utilized during the hiring process. This position is expected to work Monday-Friday, 8:00 a.m. – 5:00 p.m., a 40 hour work week, and may be required to respond to scheduled/unplanned after-hours events and activities that include days, nights, weekends, and holidays. 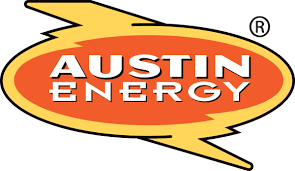 Austin Energy (AE) seeks a highly skilled Test Automation Developer with experience working with Automation/Performance testing tools to work in the IT Division of Business & Quality Management. This position is a member of the Service Validation & Testing (SVT) team, supporting IT’s Quality Assurance Program. The Test Automation Developer position requires a solid background in automation and manual testing, programming languages, creating and executing test plans, documenting test scripts from requirements, executing manual tests and automated scripts, and documenting variances for new, large, enterprise applications being deployed as well as existing enterprise applications being enhanced. The Test Automation Developer position requires working in a deadline-focused environment while balancing multiple projects and changing priorities while providing support to various IT groups, project stakeholders and business groups. The selected candidate will be able to review system and functional requirements and extract information to use in preparing test plans and scripts and develop test automation frameworks. 1. A degree in Computer Science with extensive experience using Java, C++, and Visual Basic. 2. Experience working with any test automation tool. 3. Experience working with any load/performance testing tool. 4.Experience working with Test Management and Defect Management tools. 5. Experience supporting the business of an Electric Utility or Water Utility. 6. Proven experience leading test status and results meetings. 7. Foundations level ITIL certiﬁcation. 1. Partner with decision makers, system owners and end users to define business, financial and operations requirements and systems goals.2. Lead requirements gathering sessions to elicit requirements, specifications, business processes and recommendations related to potential IT solutions.3. Create more complex models, use cases, process flows, specifications, diagrams and charts to provide direction to developers, designers, and vendors.4. Develop statement of work for use in requests for proposals.5. Evaluate compatibility and interoperability of commercial off-the-shelf or in-house technology systems.6. Review and analyze the effectiveness and efficiency of existing systems and develop strategies for improving or further leveraging these systems.7. Perform cost-benefit and return-on-investment analyses to aid in making IT business decisions.8. Conduct research on software and hardware products and technology services to justify recommendations and to support purchasing efforts.9. Write and deliver reports, recommendations, or alternatives that address existing and potential trouble areas in IT applications across the organization.10. Coordinate and perform tests, including end-user reviews, for modified and new systems, training and other post-implementation support.